Two new leaders came to power in Taiwan and the United States in 2016. Following the victory of Tsai Ing-wen, chairperson of the pro-independence Democratic Progressive Party (DPP), in Taiwan"s presidential election early that year, Donald J. Trump was elected President of the United States in late 2016. Right from his election, Trump"s unpredictability in foreign policy has left many Asian leaders troubled, including Taiwan and the People"s Republic of China. As the 19th Party Congress of the Chinese Communist Party (CCP), scheduled for autumn 2017, is looming in China, the question of whether General Secretary Xi Jinping can further consolidate his political power base is the focal point regarding future Chinese foreign policy. This paper explores the impacts that the new American administration can have on the cross-Strait relations. It examines deteriorating cross-Strait relations, the background to the Tsai-Trump phone call, and the two different types of uncertainties that Taiwan faces. Deterioration in relations between the United States and China under the Obama and Xi administrations over the South and East China Seas provided Taiwan with greater breathing room. The DPP which was under the Chen Shui-bian administration (2000-2008) was considered a "trouble-maker" due to its strong pro-independence stance and waves of political movements, such as national referendums, which provoked mainland China. The DPP is now considered acceptable by Washington, provided Tsai Ing-wen supports the U.S." " One China policy", not China"s "One China principle". Taiwan, under the Ma Yin-jeou administration (2008-2016), experienced an unprecedented improvement in relations with mainland China. Beijing and Taipei have signed twenty-three agreements, including the Economic Cooperation Framework Agreement (ECFA), to dramatically boost cross-Strait cooperation and exchanges. A summit meeting was held in Singapore in November 2015 between President Xi Jinping and President Ma Ying-jeou. Cross-Strait relations have been stable and crises were avoided. The business environment has been well developed as well. Some Japanese firms began to establish corporate alliances with Taiwanese companies and to jointly invest in China. President Ma Ying-jeou had maintained a relatively stable relationship with mainland China during his term as president, which culminated in a summit meeting with Xi Jinping. The meeting was initiated by Xi Jinping, since President Ma had already become a lame duck when the meeting was held. The meeting was highly risky attempt for any mainland leader, indicating that Xi Jinping is a leader with strong objectives on the issue of Taiwan. The Ma administration, however, partially shares the notion of "One China." Its pace and speed of tilting toward China was extremely fast, thus contributing to the regional power balance becoming more favorable to China. Growing public dissatisfaction with the income gap and perception of Kuomintang gaining money from Chinese business have had a negative impact on the Kuomintang"s results in local, legislative and presidential elections in 2014 and 2016. Tsai Ing-wen and her team began to build channels of communication with the Xi Jinping administration after her defeat in the 2012 presidential election, and tried to seek stable relations after her inauguration in May 2016.2 Evidence from open source documents can trace how each side promoted mutual understanding from May 2015 through May 2016. I focus on discussing how the two governments make sense of the concepts such as the "constitutional government" and the "1992 Consensus." No compromise is likely to arise without sustained interaction across the Strait. President Xi Jinping has proven to be more unwavering with respect to the issues of territoriality and sovereignty than was his predecessor, Hu Jintao. Likewise, newly-elected Tsai Ing-wen indicated her administration"s less conciliatory attitude toward these issues compared to the previous government which was ideologically more conservative. More friction is likely if both sides adhere closely to their respective political principles. China"s Xi Jinping administration has suspended official contacts between the Association for Relations Across the Taiwan Straits (ARATS) and its Taiwanese counterpart, the Strait Exchange Foundation (SEF); because Tsai has refused to accept the "One China" related 1992 consensus, which was embraced by the Ma administration. In response, the Xi Jinping administration has increased political pressure on the Tsai administration. These measures include shutting down official channels of communications, reducing the flow of mainland Chinese tourists to Taiwan, and restricting Taiwan"s international presence. The 2016 cross-Strait talks were far from successful due to the uncoordinated timing for a compromise settlement. For instance, Tsai was not ready to take steps toward reconciliation when Xi offered it in February 2016 as she felt that Xi"s move came too close to her inauguration speech. Similarly, when Tsai eventually showed willingness to do so, Xi was unwilling to accept such a move without further concessions from Taipei. Missing the honeymoon period, Tsai began to lose popularity with the Taiwanese electorate, which leaves her little room for compromise. However, the window of opportunity for resuming dialogue is not completely closed. The relationship under the current governments is one that is less "failing" than "developing." Xi has always been careful not to provoke Taiwan excessively and push it over the edge. Tsai appears to have abandoned the strategy of provocation, despite her inability to reign over her party. The possibility of a dialogue does not necessarily lead to the resumption of contacts between the ARATS and the SEF. In the current political climate, neither leader is motivated to engage in actions which would "push Taiwan to the corner" or "provoke China's strong opposition." The window of opportunity may grow wider if Xi and Tsai are determined not to repeat the missteps taken by the Chen Shui-bian administration. If the two sides find the prolonged absence of interactions to be unproductive and increase their willingness to reconcile with each other through the exchange between the ARATS and the SEF, they can capitalize on the partly opened "window of opportunity." Second, if both sides find the status quo to be politically expedient, the current status of a short-term impasse will become more permanent, leading potentially toward a "new normal." This will set a new course for the relationship between Beijing and Taipei. However, the "new normal" is highly unstable, and it may further deteriorate anytime soon, since there is no shortage of hawks in both the mainland Chinese and Taiwanese political establishments. At the time when cross-Strait relations became unstable, the anti-establishment presidential candidate, Donald J. Trump was elected the 45th President of the United States of America on November 8th, 2016. Trump is a talented real estate developer and a TV personality. However, he had no political experience whatsoever prior to becoming President of the United States. In China, most experts on U. S. politics expected Hillary R. Clinton to emerge victorious in the election.3 This might suggest that Trump might have been seen in China as a more desired counterpart for President Xi than the seemingly more experienced Clinton, although he was also openly anti-Chinese in his campaign. However, this optimism faded away very quickly when elected Trump, despite carrying out his "protectionist agenda," began to reassure America"s traditional allies, such as western European states and Japan. Moreover, he started to act in a manner seen as extremely "provocative" toward China. He tweetted, for instance, that he received a phone call from Taiwanese President Tsai Ing-wen on December 2nd, 2016.4 This revelation startled the Chinese government, which in response sent a demarche to the U.S. State Department, requesting adherence to the One China policy.5 In January 2017, right before his inauguration, Trump gave an interview with the Wall Street Journal in which he stated that he would not commit to America"s agreement with China that Taiwan was not to be recognized diplomatically, a policy known as One China, until he saw what he considered to be progress from Beijing in its currency and trade practices.6 This "provocation" was seen as a sign that Trump might use Taiwan as a "bargaining chip" in negotiations over the trade imbalance with China. Why did Tsai make the phone call to Trump, and why did Trump make a public announcement of such politically sensitive information? The One China policy is a bipartisan foreign policy consensus between Democrats and Republicans. Such an openly pro-Taiwan political stance could have been developed by non-establishment policy makers from within the most conservative members of the Republican party. The announcement of Tsai"s phone call was made on the very same day of former Secretary of State Henry A. Kissinger"s meeting with Xi Jinping, right after he met with President-elect Trump.7 Kissinger has been China"s loyal friend since the Sino-U.S. rapprochement of 1971, and he was expected to carry Trump"s message to Beijing. He is the symbol of the U.S. One China policy. Consequently, this incident sent a mixed message to China. Possibly, two different envoys were involved in making the appropriate arrangements: one responsible for arranging Kissinger"s meeting with Trump, and the other for arranging Tsai"s phone call to Trump. This means that the latter one tried to neutralize Kissinger"s influence on the Sino-U.S. relationship. China dealt with this issue cautiously. It criticized "Taiwan"s petty action," and took steps to push São Tomé e Príncipe, one of the twenty-two diplomatic allies of Taiwan, to end ties with the self-rule island8. China chose to punish Taiwan this time because it did not want to stir troubles with the soon-to-be leader of the world"s most powerful nation. When Ma Ying-jeou, the most accommodating president of Taiwan, was in power, every time the United States announced major arms sales to Taiwan, Beijing retaliated against the United States, and not Taiwan. This may be because Beijing did not want to provoke the Taiwanese people, since President Ma was very cooperative with mainland China. Now, China"s target of retaliation may have shifted to Taiwan. In the aftermath of the President Tsai"s visit to Taiwan"s four diplomatic allies in Central America, the Chinese aircraft career Liaoning and its battle group sailed around Taiwan in early January 2017. Although China officially denied that this move was aimed at targeting Taiwan, this kind of gunboat policy has been conducted by the PLA Navy for decades. This strong message sent to President Tsai was meant to prevent her from displaying good relations with American friends during her transit in the U.S.; consequently, nobody from the Trump transition team received Tsai at the airport in the United States. If Tsai "provokes" Beijing too much, it will be Taiwan, not the United States, which will likely be "punished" by Beijing. China might have already rewritten the scinario. The Trump administration"s "Two Uncertainties"
However, although China was reassured about the One China policy, Mattis, Tillerson and Trump have all reconfirmed the U.S. commitment to the Senkaku islands, and ignored the "New Type of Great Power Relationship," which had been reiterated by Xi Jinping during the Obama period. It seems that China did not expect too much from the Trump administration, and decided to hold a summit meeting on the One China policy, its fundamental core interest.13 This is a very pragmatic approach. This change in the One China policy could have been triggered by China"s secret approach to the "Trump Family." For example, China"s then ambassador to the United States Cui Tiankai successfully invited Ivanka M. Trump, the President"s daughter and wife of Jared C. Kushner, to Lunar New Year events hosted by the ambassador in 2017. Moreover, the Chinese government has recently permitted the Trumps to quickly register their 38 trademarks within an exceptionally short period of time.14 Sino-U.S. relations may be influenced by such personal connections. Nonetheless, it is extremely difficult to fully negotiate arms sales to Taiwan, because the Trump administration"s team has yet to be fully formed (as of May 2017). If important decision-making is done through "Family" linkage, U.S.-Taiwan relations will become more unpredictable. For Taiwan, it will be a disaster if it is turned into a "bargaining chip" in a North Korea or a trade deal.16 And if the arms sales were not done in an effective manner because of a Sino-U.S. deal, Taiwan"s national security will be exposed to new threats. However, if China doesn"t cooperate with the U.S. in dismantling or curbing North Korea"s nuclear program, Trump may launch a trade war with China and sell full weapons to Taiwan. If such a "provocation" occurs before the CCP"s 19th Party Congress, minor troubles may well escalate into a profound deterioration in relations, between the U.S. and China. Based on this paper"s analysis, I have found that the Trump administration is faced with "two uncertainties" in its dealings with already uncertain cross-Strait relations. The first uncertainty is that President Trump is heavily dependent on his family members, so if China can successfully influence the Trump Family, policy and decision-making processes may be distorted by these personal linkages. The second uncertainty is the Trump administration"s bargaining tactics. If Trump believes in foreign policy as a mere bargaining game in which minor nations can be used as "bargaining chips," Taiwan can be easily sacrificed by the two great powers. Uncertainty is the most certain word in the present days. If Taiwan wants to survive, it can make no mistake, and should prepare for the worst-case scenario, and therefore should undertake risk-hedging measures. Yasuhiro Matsuda, "Chapter 13, The U.S.-Taiwan Relations in the Late Ma Ying-jeou Period" (Dai 13 Sho, Ba Eikyu Seiken Makki no Beitaikankei;), Seiichiro Takagi ed., Sino-U.S. Relations: Structure and Dynamics during the Post Cold-War Period (Beichukankei: Reisengo no Kozo to Tenkai), Tokyo: JIIA, 2007. See, Yasuhiro Matsuda, "Tsai Ing-wen"s Election and the Transformation of the Cross-Strait Relations: "A Lost Opportunity" or "The Dawn of A New Normal?" (Saieibun Seiken no Tanjo to Chutaikankei: ‘Ushinawareta Kikai" ka, ‘Shinjyotai" ka? ), Issus & Studies (Mondai to Kenkyu), Vol. 46, No. 1, March 2017. See, Yin Jiwu, "Analysis on Hilary"s Tendencies of Political Psychology and China Policy," (Shixi Xilali de Zhengzhi Xinli ji Duihuazhengce Pianhao) Contemporary International Relations, (Xiandai Guojiguanxi) Vol. 9, 2016, p. 25. Xiao An, "Predicting Hilary"s China Policy after the Election: How to Avoid ‘Stereotyping Tendency?"" (Yuce Xilali Yidan Dangxuan hou de Duihuazhengce: Yao Bimian ‘Lianpuhua") World Affairs, (Shijie Zhishi), No. 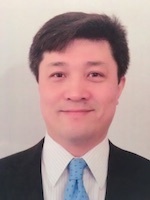 21, 2016, pp. 63-65. "The President of Taiwan CALLED ME today to wish me congratulations on winning the Presidency. Thank you!" @realDonaldTrump, December 2, 2016, twitter, (https://twitter.com/realDonaldTrump/status/804848711599882240), accessed on May 30, 2017. "President Tsai Talks on the Hotline with Trump for 12 minutes," (Cai Zongtong Chuanpu Rexian 12 Fenzhong) United Daily News (Lianhe Bao) December 4, 2016. "China Sends Démarche on U.S. President-elect Donald Trump Talks on the Phone with the Leader of Taiwan Area," (Jiu Meiguo Dangxuan Zongtong Telangpu tong Taiwan Diqu Lingdaoren Tonghua Zhongguo xiang Meiguo Youguan Fangmian Tichu Yanzheng Jiaoshe: Baigong Chongshen Jianchi Yige Zhongguo Zhengce) People"s Daily, (Renmin Ribao) December 4, 2016. Peter Nicholas, Paul Beckett and Gerald F. Seib, "Trump Open to Shift on Russia Sanctions, ‘One China" Policy," The Wall Street Journal, January 13, 2017, (https://www.wsj.com/articles/donald-trump-sets-a-bar-for-russia-and-china-1484360380), accessed on May 30, 2017. "Xi Jinping Meets Former U.S. Secretary of State Henry Kissinger," (Xi Jinping Huijian Meiguo Qian Guowuqing Jixinge) People"s Daily, (Renmin Ribao) December 4, 2016. "TAO: Taiwan"s Petty Action Cannot Change the Status of Taiwan, WhichIs a Part of China," (Guotaiban: Taifang Xiaodongzuo Bukeneng Gaibian Taiwan shi Zhongguo Yibufen de Diwei) People"s Daily, (Renmin Ribao) December 4, 2016. Hua Yewen, ""Petty Action" Cannot Change Grand Frame of Sino-U.S. Relations," (‘Xiaodongzuo" Gaibianbuliao Zhong-Mei Dageju) People"s Daily, (Renmin Ribao) December 5, 2016. "TAO: One China Principle Will be More and More Acceptable in the International Society," (Guotaiban: Yige Zhongguo Yuanze Bijiang Dedao Guojishehui Yuelaiyue Guangfan de Rentong) People"s Daily, (Renmin Ribao) December 22, 2016. Neil Connor, "Donald Trump Backs Down over ‘One China Policy" in Call with Xi Jinping, as Chinese and US Aircraft in Mid-air Close Call," The Telegraph, February 10, 2017, (http://www.telegraph.co.uk/news/2017/02/10/donaldtrump-reaffirms-one-china-policy-call-chinas-xi-jinping/), accessed on May 30, 2017. "Taiwanese Delegation Participates in Trump"s Inauguration Ceremony under PRC"s Opposition," (Taiwan Daibiaotuan zai Zhongfang Kangyi xia Canjia Chuanpu Jiuzhi Dianli) Storm Media, (Feng Chuanmei) (http://www.storm.mg/article/215447), accessed on May 30, 2017. Mark Landler and Michael Forsythe, "Trump Tells Xi Jinping U.S. Will Honor ‘One China" Policy," The New York Times, February 9, 2017, (https://www.nytimes.com/2017/02/09/world/asia/donald-trump-china-xi-jinping-letter.html), accessed on May 30, 2017. Carrie Gracie, "Could China's Trump Tactics Actually Be Working?" BBC News, February 24, 2017, (http://www.bbc.com/news/world-asia-china-39061702), accessed on May 30, 2017. "Beijing Secretly Denounces an Important Initiative Due to Unpredictability of Trump," (Telangpu Nan Yuce, Beijing Fnagqi Yixiang Zhongda Changyi) Duowei News, (Duowe Xinwen Wang) March 4, 2017, (http://global.dwnews.com/big5/news/2017-03-04/59803566.html), accessed on May 30, 2017. "Chinese Authorities Permit Registration of Trump"s 38 Trademarks at One Time," (Chuanpu 38 ge Shangbiao Shenqing, Zhongguo Yici Pizhun) Liberty Times, (Ziyou Shibao) March 10, 2017. Liao Han-yuan, "Trump Plans to Sell Arms to Taiwan: Promotion of Acquisition of Advanced Jet-Fighters" (Chuanpu Ni Dui Tai Junshou: Tuidong Qude Xianjin Zhanji) Central News Agency, (Zhongyang Tongxun She) March 18, 2017, (http://www.cna.com.tw/news/aopl/201703180044-1.aspx), accessed on May 30, 2017. Josh Rogin, "Taiwan Arm Deal in Limbo as Trump Courts China," The Washington Post, May 7, 2017, (https://www.washingtonpost.com/opinions/global-opinions/taiwan-arms-deal-in-limbo-as-trump-courts-china/2017/05/07/37ee5654-31ba-11e7-8674-437ddb6e813e_story.html?utm_term=.eba81e7a97cd), accessed on May 30, 2017.